Reports that Powell River is about to be the home of a new brewpub may be premature, but there is no doubt that the picturesque coastal city will soon have an exciting new craft beer-focused pub for locals and beers tourists alike to enjoy. The Wildwood Public House, previously known as the Red Lion, purported to be Powell River’s first neighbourhood pub, is weeks away from opening. It will focus on Sunshine Coast and mid-Island craft beers, Neapolitan pizza, and live music once the doors are open. There is a lot of buzz about the Wildwood, locally and in craft beer circles. Much of it has to do with the new ownership group, which includes music legend John Wright, who co-founded the iconic punk rock band NoMeansNo with his brother Rob, and Isaac Tremblay, co-founder and current director of Quebec craft brewery Le Trou du Diable. The pub will have 12 taps to start, with a mix of craft beer and cider, and one kombucha tap to wash down the pizza. 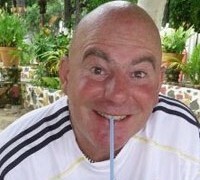 The menu will feature pub favourites and locally inspired entrees. Live music is also in the plans—no surprise, given Wright’s 30-year history in the music industry. They have improved the stage and plan to establish a comfortable schedule that will have broad appeal, and a range of events that both respects and entertains the neighbours. Reports over the past year in The Growler and Vancouver Courier listed the Wildwood as one of BC’s most anticipated new breweries in 2018. But the brewpub aspect of the business plan is still not etched in stone; it depends on the success of the pub, so the establishment of Powell River’s first brewpub is still not certain. If this stage proves successful, the owners plan to approach the neighbourhood, city, and government about installing a 10-barrel microbrewery and make the Wildwood a real brewpub. Wright has been an avid homebrewer for decades, and teamed up with Tremblay and LTDD to brew PunkRauch, a Bavarian-style smoked lager, based on Wright’s home-brew recipe. In keeping with the history of trail-blazing in Powell River, the Wildwood will be Powell River’s first craft beer–focused pub. It will give the city another venue for live music and give its neighbourhood of Wildwood a much-needed social focal point. 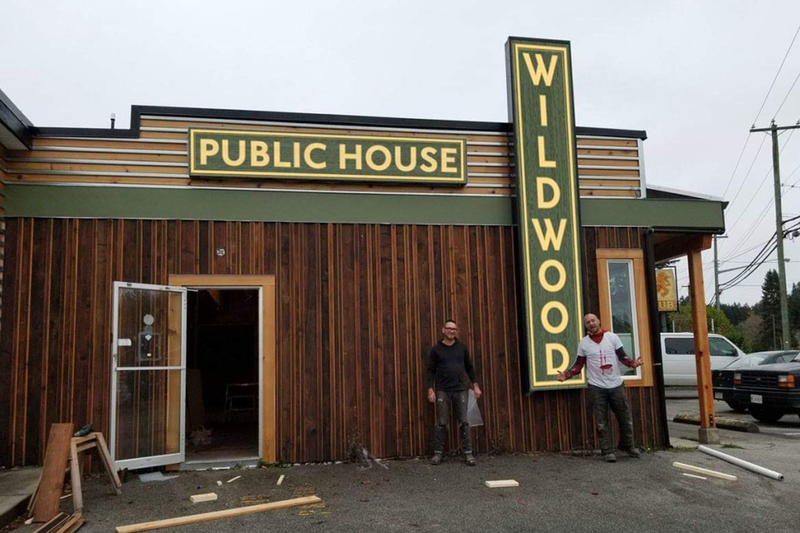 The Wildwood Public House, located at 5987 Lund St, Powell River, is slated to open in early 2019. It will be a must-visit place for local and visiting craft beer lovers and a much-needed addition to the local craft beer scene. Was wonderful to see the sign lit up last week!